Just a quick post today, so much to do!! 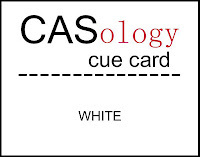 I love using lots of white on my cards, so the latest challenge from Cas-ology is perfect for me. I used a stamp set called Fresh Blooms from Neat & Tangled. As I used dry and heat embossing on my card, I am also putting this in the Simon Says Challenge - Emboss it and also the Moxie Fab Challenge - Focal Point. so beautiful i had to tweet about it! Lovely white card - love that window! Thanks so much for playing along with us at the Simon Says Stamp challenge! Definitely beautiful! Love the little black pops, too! Thanks for playing along with CASology this week! i don't just like your card.... i love it!! absolutely gorgeous!! thanks for playaing along with CASology!! Gorgeous card Tracy, those white flowers with the glittered edges are fabulous! Thank you so much for joining us this week at CASology!